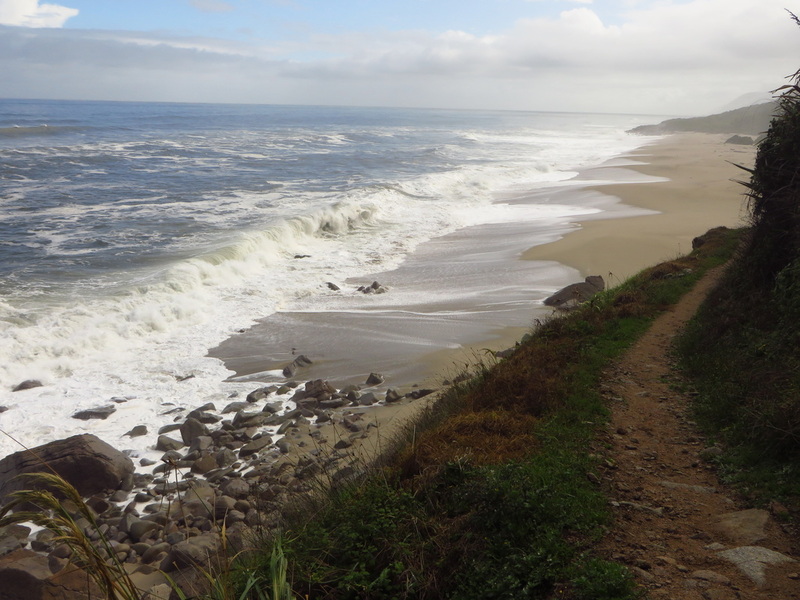 A great way to experience everything the Heaphy has to offer. With this package you have the opportunity to enjoy evenings in both eclectic Takaka and remote Karamea. As you walk the track over 5 days, you have plenty of time to take in its beauty and magic as well as having the chance to discover some hidden caves and waterfalls on one of our many, optional side trips. As we take care of all the food along the way, you can carry less and enjoy more! Our package includes breakfast and vouchers ($20 per person) are provided. Vouchers are redeemable at The Wholemeal Cafe﻿﻿﻿. We drive from Takaka to Collingwood (30 kms) and then on up the Aorere Valley (another 30 kms) stopping en route for a complimentary tea or coffee at the historic Langford Store. The road stops at Browns Hut, the first hut of the track, but we don't stop here. Our first night is at Perry Saddle Hut (26 bunks), a 5 hour walk with a 700m altitude gain. The wide, well-graded track climbs gently up through the bush, giving views of Mt. Olympus and the thick bush of the Aorere Valley, and on a fine day it is possible to see Mt. Taranaki in the distance. An easier day, with only 4 hours walking. The track goes through patches of beech forest before the wide expanse of the tussock covered Gouland Downs comes into view. The track meanders down to Cave Brook, passing the famous 'boot pole' on which trampers over the years have tied their old boots. Then we come to a limestone outcrop, with caves and waterfalls. We visit the oldest hut on the track, the Gouland Downs Hut, then continue on the flatter part of the Downs to Saxon Hut (16 bunks). The longest day of the walk, made up of a morning 3- 4 hour walk to McKay Hut and another in the afternoon. The track crosses the Saxon River flats, then onto the broad ridge between the McKay and Gouland Downs, passing an old pole marking the boundary between the Nelson and West Coast provinces. The vegetation varies between tussock and shrub fringed beech forests, and we get views of the ocean in the distance. We have a leisurely lunch at McKay Hut and then begin the long gentle descent (downhill all the way), with the temperature getting warmer as we descend down towards the coast. The bush is ever changing from the alpine scrub to taller and taller trees and the welcoming sight of the tree ferns and lowland forest. We stay the night at the Lewis Hut (20 bunks) at the junction of the Heaphy and Lewis rivers with a good opportunity for a swim. The easiest of the days, a leisurely walk along the river flats of the Heaphy River, with its luxuriant rainforest of kowhai, cabbage trees, and nikau and a visit to one of New Zealand’s biggest rata trees. In the afternoon there is the option of a swim in the lagoon, walk along the beach, or an off track visit to the very special Field’s Cave. We stay at the Heaphy Hut for the night (30 bunks). The final day is a 5 hour walk along the magical West Coast, with high cliffs, pounding seas, nikau and karaka tree forests and wild scenery. After a few hours of walking, the distinctive cone of Kohaihai Bluff may be seen in the distance, our destination for the day*. At Kohaihai our vehicle is waiting (along with luggage transferred from Takaka) for the short drive into beautiful Karamea (15 minutes), where the group enjoys well-deserved hot showers and a relaxing night at The Last Resort. One night of lodge accommodation and breakfast at The Last Resort is included in the price. Here we can share a drink at the bar, enjoy an evening meal together and of course celebrate our achievements and experiences over the last 5 days together. To help you plan your trip, we offer the following list as a suggestion of what to pack. You need to supply a pack, sleeping bag and comfortable footwear. The weather can change quickly on this track so you must be prepared for adverse conditions. 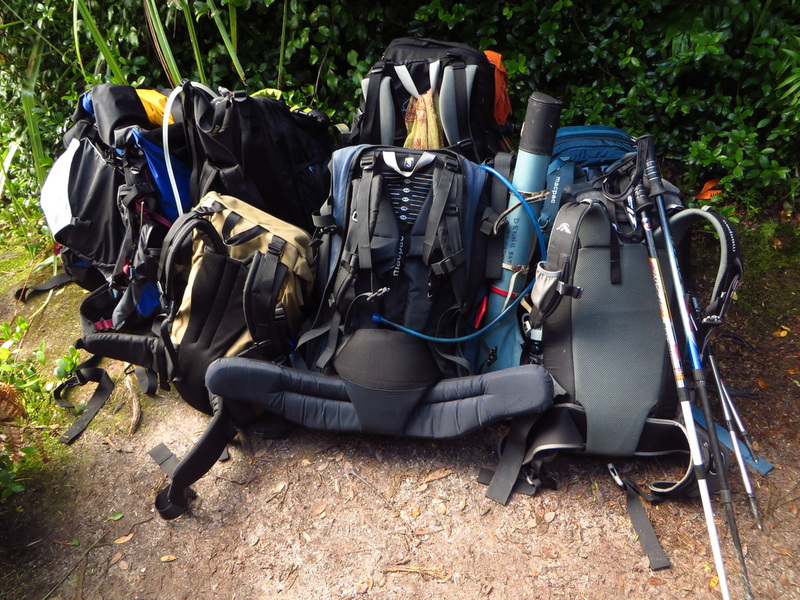 It is a good idea to make your pack as light as possible (aim for approximately 9kgs) for your own comfort. We have some equipment available. If you cannot provide everything on the list, please contact us.